Greetings film fans! As some of you might be aware, a little known film about a bunch of superheroes and a mischievous robot crept into cinemas quite recently and I have it on good authority that it is proving to be quite the popular thing. So whilst we marvel (I know, some crazy wordsmith skills at play here!) at this newest heroic get-together, let’s not forget what else we have on the way. Wrong ‘Legend’. Wrong Tom too. Ahem, please disregard that whole bit about unicorns. Ronald and Reginald Kray were arguably two of London’s most notorious perpetrators of organised crime during the 1960’s, with an underworld empire founded on violence and murder. The lives of these two gangsters have been well documented over the years, from biography’s to TV docudrama’s (hell, even Spandau Ballet got interested- see The Krays- 1990). But real-life stories such as this always have a way of coming back around. ‘The Profession of Violence: The Rise and Fall of the Kray Twins’ by John Pearson is the latest account of their grisly careers to be adapted to the big screen, and will star Tom Hardy and… erm … Tom Hardy as the eponymous identical twins. Similar to how The Social Network (2010) brought us double the amount of Armie Hammer through the use of digital grafting and split-screen photography (or cinema magic, if you will), Legend will take the already commanding screen presence of Tom Hardy and multiply the effect. Here is an actor who has already proven his capability in handling dark sociopathic characters (Bronson- 2008, The Take- 2009) and whilst it might not have done anything for me personally, his performance in 2013’s solo-driven Locke strongly exhibited his ability to dominate the camera and carry the film along with him. Put succinctly, the man has talent. The movie will be directed by Brian Helgeland, who wrote screenplays for both L.A Confidential (1997) and Mystic River (2003) – a couple of excellent crime-based features (his writing credits do include the screenplay for A Nightmare on Elm Street 4 but please don’t hold that against the guy!) – and will also star Emily Browning, David Thewlis, Christopher Eccleston and Taron Egerton in support. 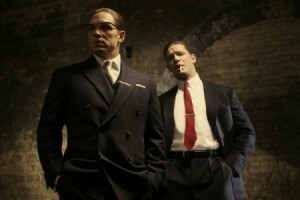 Not much has been released in the way of plot but Helgeland has stated that the film will focus primarily on the attempts of Reggie Kray to reign in his twin’s psychotic inclinations. You had me at Tom times two. It seems as though September is going to be a tad on the grim side. Grim is good. Grim sells cinema tickets. Goodfellas, Taxi Driver, Carlito’s Way, Donnie Brasco, Scarface, Casino… all dark, brooding crime thrillers and all experts in the harsh and sombre territory of the grim. And, in my opinion, all brilliant movies to boot. So here comes another adaptation (‘Black Mass: The True Story of an Unholy Alliance Between the FBI and the Irish Mob’) only this one stars an unrecognisable Johnny Depp. Now hold on! I can hear those groans: ‘Johnny Depp? Unrecognisable? Why does this ring a bell?’ Believe me, I agree. Throughout his varied career, it would be fair to say that Mr. Depp has made a name for himself performing vanishing acts into a veritable assortment of wacky and quirky characters; some that landed (Edward Scissorhands, Ed Wood, Ichabod Crane, Captain Jack Sparrow… sometimes, at least), more that didn’t (Sweeney Todd, The Mad Hatter, Tonto, Willy Wonka, Barnabas Collins, The Wolf, Mortdecai, Guy Lapointe… and Captain Jack Sparrow- like I said, that character is hit and miss), but I have to say I’m not as hesitant about his new role as I normally find myself. Perhaps that is due to the fact that this character, Whitey Bulger, does not call for any of that usual ‘Deppness’ that so commonly infects his performance, and the trailer goes a long way in reminding us that somewhere inside that cooky individual, there lies an actor desperate to break out. 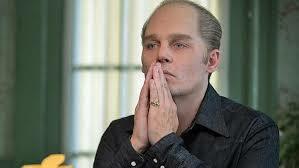 Black Mass could be just the platform to steer Mr. Depp back on course and remind us why he is so special of a talent. Goodfellas (1990) is one of my all-time favourite movies and a juggernaut regularly featured when the discussion of ‘Best Crime Film’ comes rolling around. In one of the more iconic scenes, the wickedly good Joe Pesci switches on a dime, transitioning from friendly to furious in less than a blink. That scene terrifies me more than any horror picture ever could and I think that is what resonated with me after seeing the Black Mass trailer; the words ‘You said it was a family secret!’ may not sound like much but I defy anyone not to feel the slightest shudder at the sudden turn in Depp’s delivery. There is hope in this trailer – hope that a long-forgotten actor might well resurface in the form of one of the most violent criminals in US history. Racketeering? Drug deals? The Mafia? The FBI’s Most Wanted list? Sprinkle on a more-than-competent list of co-stars with the likes of Joel Edgerton, Benedict Cumberbatch, Dakota Johnson and Kevin Bacon, and I reckon you might just have the hallmarks of a potential crime-hit right there. 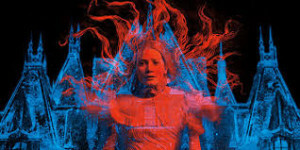 A return to gothic horror by Guillermo del Toro. Yeah, I’ll buy! By now, del Toro has enough credit in the bank to ensure I will stake my seat for whatever he throws my way, but the words ‘gothic-horror’ really spark my interest. His past foray into the realm of dark fantasy produced such remarkably macabre wonders as The Devil’s Backbone (2001) and Pan’s Labyrinth (2006), both films that were as twisted as they were poetic. I even got a kick from what he had to offer with the Hellboy films (2004, 2008) and Pacific Rim (2013); a little more mainstream (and a whole lot more American) but entertaining nonetheless. But this… this is the kind of film del Toro was born to make; a film that pays homage to haunted house classics of a bygone era (The Haunting, The Innocents). This is a master going back to his roots. ‘Ghosts are real,’ says Mia Wasikowska in the opening shot of this chilling taster, which keeps the plot tightly wound but sweeps its audience in with glimpses of the oppressive titular house and a shifting darkness roaming the Victorian corridors. We see Tom Hiddleston and Jessica Chastain pop up too and I can’t help but admire the casting at play. An argument could easily be made that the trailer was generic, another familiar montage of ghostly whispers and creepy music, and I would agree, just as much as I would agree that the resulting feature could fall devastatingly wide of the mark. I admit it. I’m betting heavily on the name ‘del Toro.’ And I admit it is a gamble (though he only produced it, I too saw the wreck that was Mama (2013)- an insult to the short film that inspired it). There is every chance that this could go wrong. But stick on The Devil’s Backbone. Take a trip back to the sensational world of Pan’s Labyrinth. And ask yourself the same question that I did when I re-watched those movies: Is it worth that chance? Here’s hoping that the director is only topping up the credit in that ‘trust-fund’ and not, in fact, about to make a hefty withdrawal. Here is a film that is just around the corner and one that honestly threw me for a loop. Say the setup out loud – Arnold Schwarzenegger in a zombie movie – and tell me you don’t feel stupid for saying that. I love the guy and have spent many a happy hour watching him decimate as many extras as possible, spouting those trademark one-liners of his with a thespian grace. He knows who he is and he knows what he does best, but the thought of him taking on the living dead does make you wonder whether it might be time for the Austrian Oak to go take a well-deserved lie down. Imagine my surprise when I discover that no, this isn’t going to be your run-of-the-mill quick-quipped slaughter, but in actual fact will be a… drama? Wait, that can’t be right. I’ll recheck. Yep, it’s confirmed sure enough. This is definitely happening folks. Arnie has gone all dramatic on us. Who knew he was one of those ‘single-tear’ fellas? (seriously, check the trailer). I’m not sure if I’m more disturbed or intrigued by this but I have to hand it to that trailer- it got me. Hats off to you, Lionsgate. 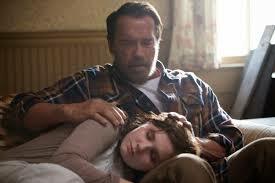 I had heard rumblings before it debuted, of Schwarzenegger taking on the role of a loving father who has to deal with his daughter’s transformation into a zombie after she becomes infected, and to be fair I still didn’t buy it. In my defence the man has a whole back-catalogue of pure 80’s and 90’s action cheese weighing in against him (and what a catalogue that is), so I’m sure he would forgive me just a smidgen of doubt on this one. But somehow, the trailer pulls it off and although there is still some doubt (come on, we’re talking about Arnie being dramatic here) it actually has me rooting for him. Am I more interested in seeing how this unfolds rather than the plot we’re given? Damn right, I am! You’re taking one of Hollywood’s biggest action stars and asking him to go deep. I could go see Maggie and be completely amazed by what I see. It could be a revelation. Or it could be a steaming pile of… well, you know. Either way, I win. Oh and Abigail Breslin is always solid so… yeah, there’s her. But who are we kidding? We’re here to watch Arnie act. Let’s see that single tear again. My name is Martin and I'm addicted to film. This obsession has taken me from vast, fantastical vistas to frantic pulse-pounding space battles; from the personal to the epic and everything in-between. That's why I love film so much and, though I sometimes regret it, I will give anything a try. My favourite films are: The Shawshank Redemption, The Empire Strikes Back and The Dark Knight Returns.